When you need to recycle or destroy plastic, be sure to choose the right shredding equipment. Jordan Reduction Solutions has years of application experience in plastic shredding solutions. 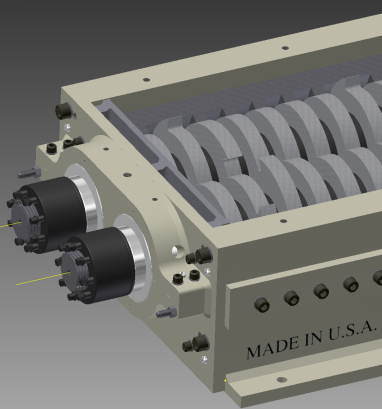 We are the industry leading OEM of dual shaft shredders made in the USA. In addition to a rugged plastic shredder, customers get full access to our application engineers. They can help you decide the best equipment for your needs and our sample test facility can can determine . We also manufacture Plastic Grinders and Plastic Granulators. If your application needs more than a shredder, we are the company to call. Each system is controlled by a programmable Allen Bradley MicroLogix PLC. This give you the ability to manage product flow and monitor system performance. These machines are designed for easy field maintenance and are supported with factory OEM replacement parts from inventory in our Birmingham Alabama facility. Or, you may only require a product destruction shred. We have what you need. 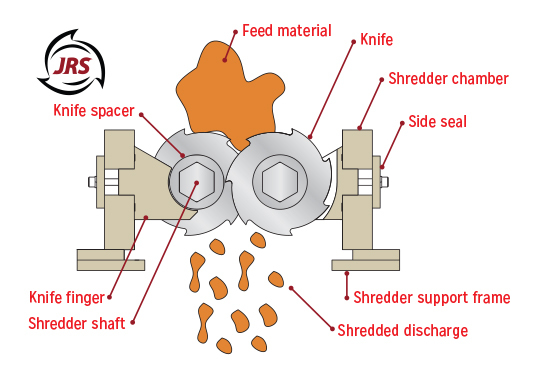 Shredding and Granulating (or just Granulating) is the process of recycling the material back into a granule form. And in doing so, that material can be put back into the extrusion or injection mold process. Jordan Reduction Solutions has the equipment you need to meet your application requirements. 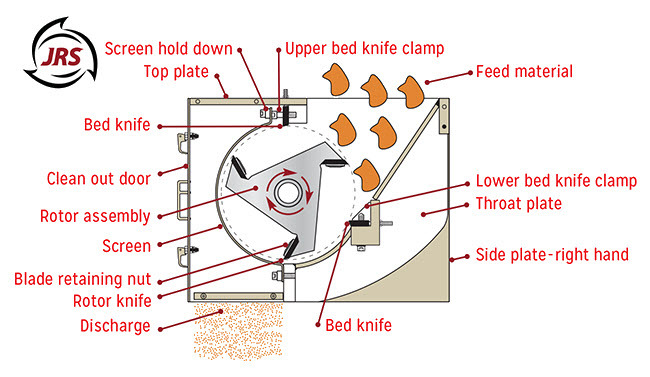 See our Blog Post on Shredding, Grinding and Granulating to help determine your needs further. No matter your need, Jordan Reduction Solutions has a granulator sure to meet your most demanding application. Check out all the machines we have for your plastic processing needs.